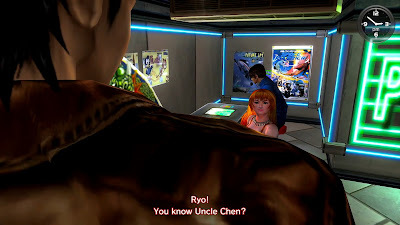 From playing Shenmue II, one might gain the impression that Joy is related to Master Chen, from certain conversations in which she refers to him as "Uncle Chen". Does she mean this literally? A conversation in which Joy speaks of "Uncle Chen." Before dealing with this question directly, it makes for a good opportunity to review various pieces of information from within and outside the game that can be found regarding their relationship, including some optional conversations that might be missed on an initial playthrough. 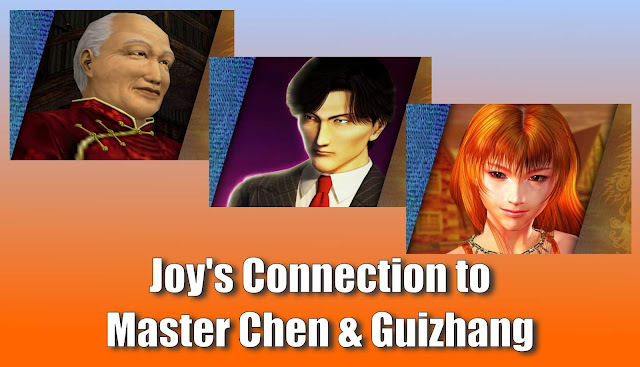 Let's start by examining the profiles of Joy and Master Chen, as well as Master Chen's son Guizhang. Her father, Chunyun Liang, presides over the harbor's trading business and is someone people trust deeply. Joy is his only daughter, and as a result, she is looked up to by many people at the harbor. Like Ryo, Joy lost her mother when she was a child. Because of this, her father indulges her. She is acquainted with Master Chen and his son in Yokosuka, and they contact each other from time to time. So Joy knows Master Chen and Guizhang, however the phrasing used, "acquainted with," sounds somewhat formal and doesn't hint at a family connection. Master Chen's profile describes him as "one of a few wealthy Chinese magnates living abroad in Japan, and he’s a big name in the trading business", but makes no specific mention of relationship to Joy, or business dealings with Joy's father. Guizhang's profile description in Japanese contains a mention of Joy, which is not present in the English version found in the guides. Guizhang is the son of Master Chen, the owner of a Chinese trading company. While he is still learning how to manage the company, he also works as his father’s bodyguard. He always seems to be calm and gives the impression of being cool-headed and ever composed. However, this is due in part to his remarkably expressionless face. Born in Yokohama, Japan, Guizhang was trained in the Yan Qing Style of martial arts by his father since childhood and has continued training hard ever since. Because of their similar background, at heart, he sympathizes with Ryo, but on the outside, acts coldly toward him. He and Joy know each other, and they have recently exchanged phone calls. This snippet of information confirms that Guizhang and Joy know each other, without going into detail. However "recent" phone calls between them are mentioned. 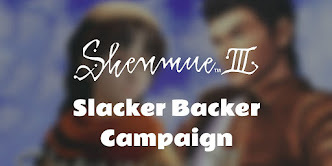 We learn some background information about Joy and Guizhang's relationship in one of the official Shenmue Side Story comics that were published in the Japanese Dreamcast Magazine in 2001 (and was also included on the original Xbox version of Shenmue II). The four pages show Joy calling Guizhang on the phone, with a flashback of the time Guizhang once rescued her from the hands of kidnappers. 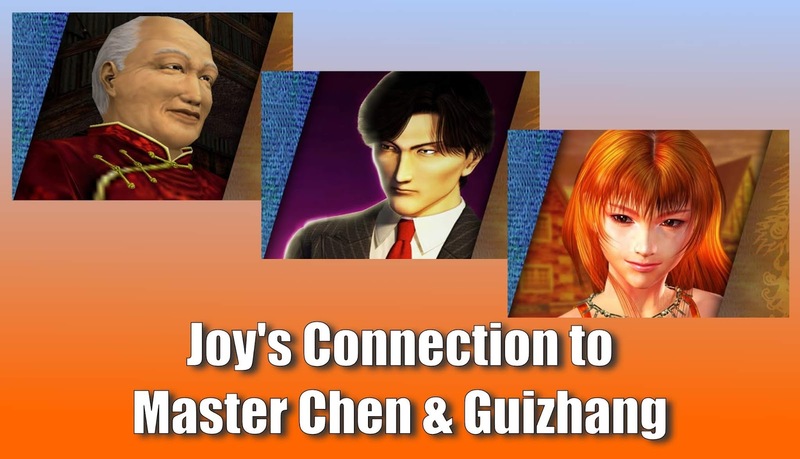 Shenmue Side Story: "Guizhang & Joy"
As seen above, the comic establishes that they became friends due to Guizhang visiting her father often on business. The friendly nature of their relationship is clear in the tone of the call, with Joy scolding Guizhang for not recognizing her voice straight away, and Guizhang teasing her about the possibility of her having a new boyfriend. Next, let's look at some scenes from the game. There is a certain optional conversation that can be had with Joy in Shenmue II that plays out at the Pine Game Arcade located in Wan Chai. (Joy's motorbike will be parked outside the arcade if she is there, which occurs at the point in the story when Ryo is trying to make the Chawan Sign at various locations). This is our first example where Joy refers to Master Chen as "Uncle Chen". Joy: My dad's running a trading company. He deals with the Japanese too. Joy: He has a business relationship with a man called Chen living in Yokosuka. Ryo: What... Yokosuka? Chen? Are you talking about Master Chen? Joy: Ryo! You know Uncle Chen? Ryo: Yeah, I was able to come to Hong Kong because of Master Chen's help. Joy: Uncle Chen helped you? Ryo: Yeah, he made the arrangements for me to come to Hong Kong. Joy: How come? Chen of Yokosuka is an important figure among Chinese merchants in Japan! Joy: How did you get Uncle Chen to help you? Joy: None of my business, right? Ryo: That's right. It has nothing to do with you. This is not the only time that Joy refers to "Uncle Chen", as can be seen with the following conversation. Later on in the game, before Ryo goes to Kowloon, if he has had the conversation with Joy at the arcade then a further interaction becomes possible with her at Fortune's Pier. Joy: You know Uncle Chen in Yokosuka, right? Joy: Then, do you know Guizhang? Ryo: Guizhang... Yes, of course. Joy: Really/ How is he doing? Ryo: Are you close to Guizhang? Joy: Yeah. He's blunt, just like you... But he's a nice person. Joy: Whenever Guizhang comes to Hong Kong, he tells me all about Japan. Joy: Hey, when's he coming to Hong Kong? Do you know? Ryo: Guizhang probably can't make it to Hong Kong for a while. Joy: What do you mean? Ryo: He got injured... saving me. Joy: Injured? To save you? What happened? Joy: It has something to do with Yuanda Zhu, right? Ryo: I... I followed a man to Hong Kong. Yuanda Zhu knows about this man. Guizhang was supposed to come to Hong Kong with me. But right before boarding the ship, he was attacked by one of the man's associates. Joy: Who is this man? Ryo: You don't need to know. It's better for you to stay out of this. Joy: No way! Guizhang is my friend! I have to know who this guy is. He's the reason my friend is hurt! In this conversation, Joy's feeling of friendship for Guizhang comes through clearly. 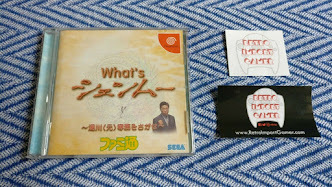 In Kowloon, Ryo finds a cassette tape in the wiretapper's room which contains various secretly-recorded phone calls, with one of these being a phone conversation between Joy and Guizhang (at position 650 on the tape). Guizhang: Oh, excuse me. I have a guest. Joy: You sound busy, as usual. Guizhang: If I wasn't busy, I wouldn't be able to stay in Japan. Joy: Sorry for interrupting your business. Say hello to Uncle Chen for me. Should Joy's reference to "Uncle Chen" be taken literally? As it turns out, there is another factor which needs to be taken into account. As reviewed above, Master Chen is someone who has carried out a lot of business with Joy's father, and could be considered a family friend. Hence it might be quite natural for her to refer to him as "Uncle Chen" rather than "Mr. Chen". So... Is Master Chen Joy's Uncle? To summarize the information collected above, we know that Joy's father and Master Chen / Guizhang have done a lot of trading business together, and this led to Joy becoming friends with Guizhang. 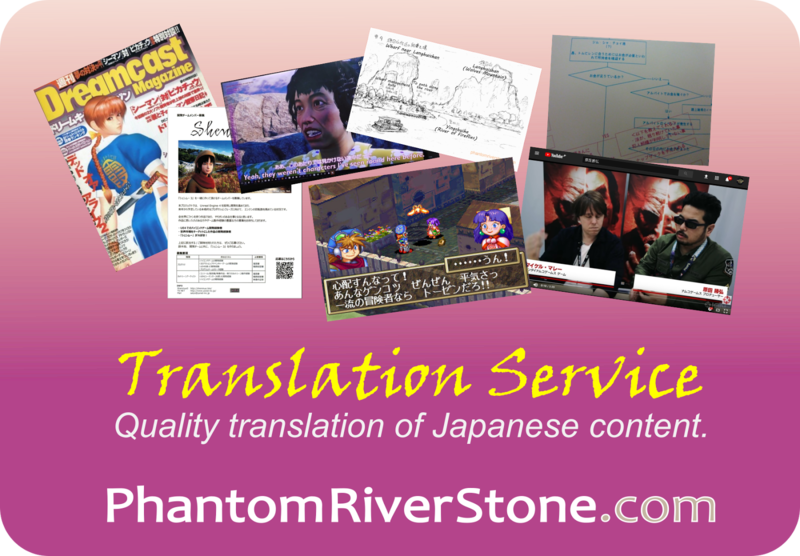 However it is notable that it is not stated, in the profile descriptions or elsewhere, that there is any family relationship between them. Given this lack of any other corroborating evidence, and considering the usage of the word "uncle" in the Chinese culture points to the conclusion that Joy is most likely using "uncle" as a term of respect and endearment. The families have built up a friendly relationship over many years through business, however we can conclude that they are not related by blood.